The Long Range Intermodal Transportation Plan (LRITP) is a policy context that will address transportation issues in Arkansas for the next 25 years and is the State’s first performance-based plan. Through an extensive public and stakeholder involvement process, the plan will set strategic directions on the future of our transportation system and the level of transportation investments required. The long range planning process is an opportunity to take a big-picture look at the goals for the transportation system over a long term horizon. A performance-based approach attempts to ensure that transportation investment decisions are made based on their ability to meet established goals for improving the overall transportation system and Moving Arkansas Forward. This policy Plan is critically important to the Department because it will guide and inform future investment decisions in how we preserve, maintain, and expand our multimodal transportation system. 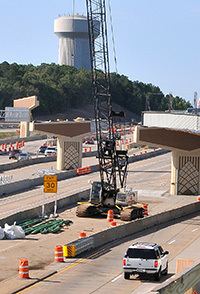 AHTD is responsible for maintaining 16,411 roadway miles (12th largest state system in the U.S) and 7,282 bridges. But this Plan is not just about roads and bridges. The LRITP will also integrate results from the Bicycle and Pedestrian Plan, Rail Plan, Public Transportation Needs Assessment, and MPO plans. We are also developing a Freight Plan in parallel with the LRITP and together these plans will provide policies and strategies that will Move Arkansas forward. 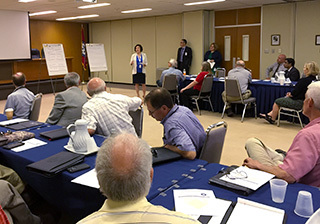 This plan is updated every five years and stakeholder and public involvement is a key component of the planning process as AHTD updates the LRITP. More information about the planning process can be found at http://issuu.com/arkansashighways/docs. Why is Arkansas Preparing a Long Range Intermodal Transportation Plan (LRITP)? The United States Congress enacted MAP-21, the Moving Ahead for Progress in the 21st Century Act (P.L. 112-141), on June 6, 2012. Included in this legislation was an increased focus on performance management, which requires the use of performance data to guide decisions in the planning process for state Departments of transportation and Metropolitan Planning Organizations (MPO). The current plan was completed by Arkansas State Highway Department (AHTD) in 2007 and it is time to update the plan to address new federal requirements and recent local, state, and national trends that impact how people and goods move throughout Arkansas. The 2040 AHTD Long Range Intermodal Transportation Plan (LRITP) is the first performance based plan for AHTD. This plan identifies goals and objectives which provides a foundation for the use of transportation data and public/agency input to continually monitor progress toward desired outcomes. This policy plan is critically important to the Department because it will guide and inform future investment decisions in preserving, maintaining, and expanding the multimodal transportation system. Over time, the Department will fine tune its investment decisions and procedures to improve Arkansas’ intermodal transportation system. What objectives and strategies can help to achieve these goals? What performance metrics can the Department use to measure progress toward these goals? 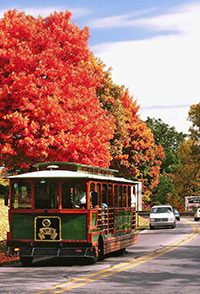 What are demographic and socio economic trends in Arkansas that may affect the future of transportation? What are the current and projected needs of the State’s multimodal transportation system? What is the current and projected revenue available to fund transportation projects? What is the impact of the transportation system on safety, economy, and mobility of people and goods? What new policies are needed to implement this performance-based plan? What programmatic investment decisions could be made to achieve specific transportation system goals? What is the economic impact of completing the Four-Lane Grid System? The LRITP began in April 2015 and will be finalized in July 2017. Copyright © 2015 AHTD. All rights reserved.